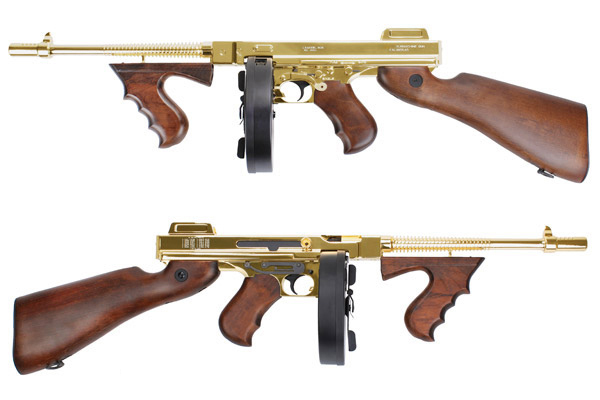 The Grand Special Series M1928 Chicago Gold is produced under official license. 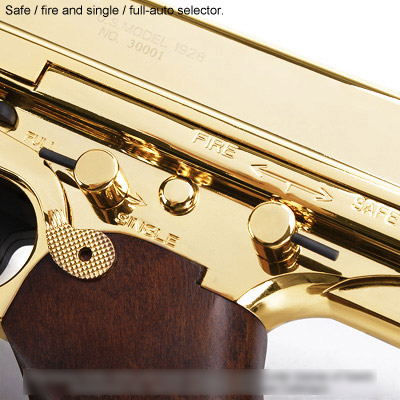 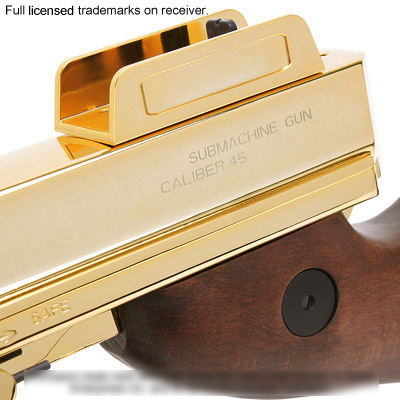 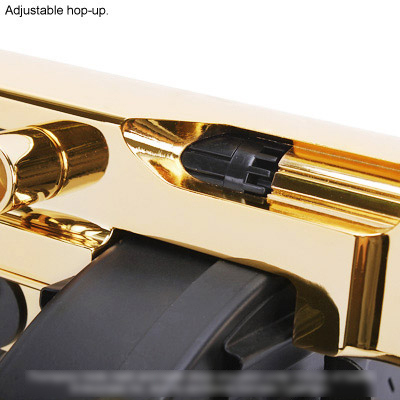 The surface finishing of this beauty is 23K gold plated and you can find the full laser markings and a unique serial number engraved on the receiver. 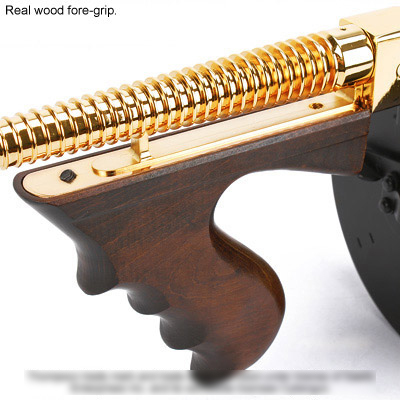 It has real wood handguard, grip and stock, and equipped with a 9mm bearing gearbox. 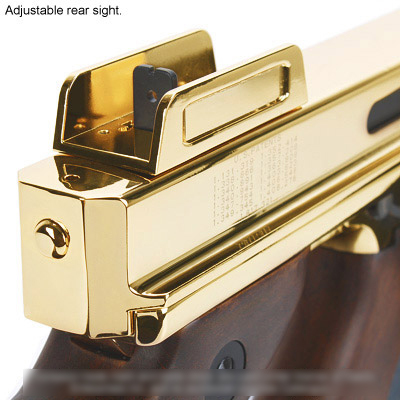 The rear sight is adjustable as user’s preference. 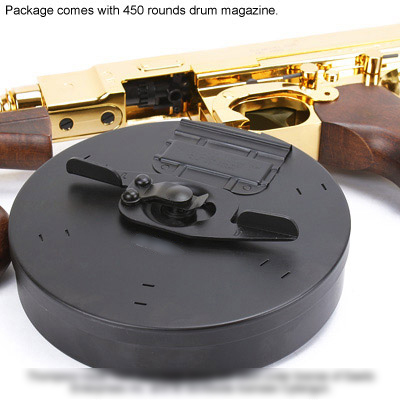 A 8.4V large type battery can be store inside the stock and a 450 rounds drum magazine is included in the package.